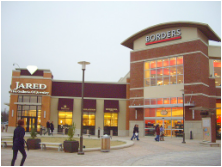 • Type: Neighborhood and community shopping centers. • Targeted Investment Size: $6 million to $20 million. • Preferred Markets: Central and Western United States (west of the Mississippi) and Florida. • Market Sizes: Primary, secondary and tertiary markets will be considered. • Yield Targets: 12% (leveraged) and above. Dependent upon risk. • Capital/Structure: Private capital with no committees involved. • Maximum Leverage: 60% debt. • Risk Levels: Benchmark’s ideal investment will have some upside opportunity. This can vary from contractual rent growth over time, improved leasing, lease-up of existing vacancy and/or complete redevelopment. As stated above, Benchmark’s targeted returns will vary in keeping with the risk of the particular transaction. Summary: Benchmark is an opportunistic acquisition firm that can move quickly and creatively for the right opportunities. Benchmark (and our predecessor companies) has a long history of acquisitions and investments.